Is this one of Aldi’s sneaky ways to save a few dollars by deterring customers from using their shopping trolleys? Ever since I can remember, Aldi have always incorporated coin-operated mechanisms in their shopping trolleys whereby in order to take one away, you need to deposit a $1 coin to release it. Once finished, you click it back with another Aldi trolley (if you can find one), to release your $1. 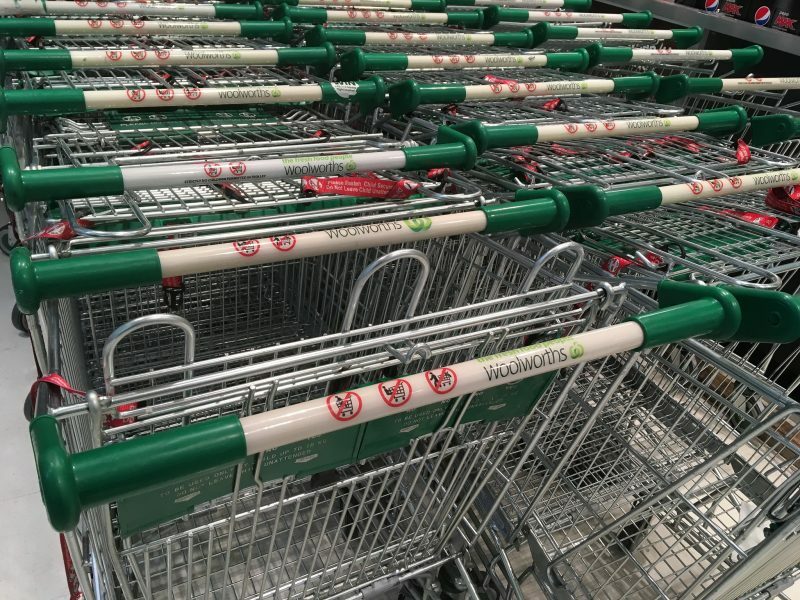 The reasoning is sound insofar as to deter customers randomly leaving their trolleys in the car park without returning them neatly back into the trolley queue. But it does not work, unless you’re happening to be shopping at a comparatively-rare standalone Aldi, an Aldi not connected to a shopping mall. I like shopping at Aldi in my local shopping mall for some of the items I buy but I often wonder why Aldi even bother with shopping trolleys at all. Seldom do I see anyone use an Aldi shopping trolley (typical photo below). Nor do I for that matter. I waltz in there with a shopping trolley free from the shackles of a coin-operated mechanism; usually from a competing supermarket. Now it’s not the money. It’s merely a one-dollar coin which you get back. However, for many, particularly men; coins are not terribly popular. They often get collected at the end of the day and stashed in a jar. At least they are in my case! The other inconvenience is, of course, finding another Aldi trolley to connect to when you return it. OK. Problem solved. Use another trolley from another supermarket or a department store in the mall but this raises another amusing observation. With Aldi trolleys clean, intact and generally unused, who pays for the maintenance of the other trolleys? I suspect it won’t be Aldi! You can just picture management running a Coles or a Woolsworth (both large Australian supermarkets) when an Aldi moves in to the same mall. One possible solution for shopping mall owners to promote fairness. 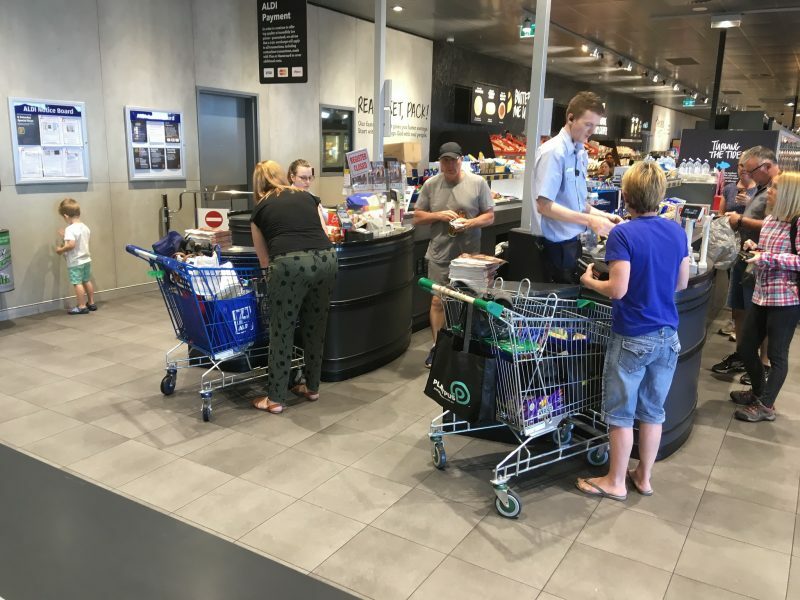 Include, as part of the Contract between Aldi and the shopping mall that Aldi’s trolleys will be free from the shackles of coin-operated devices like the photo below!